What the hell is going on?! With all these vegans dropping like flies in the community I gotta hold it down with 100% vegetable content that’s anything but tiresome or lacking nutrients. 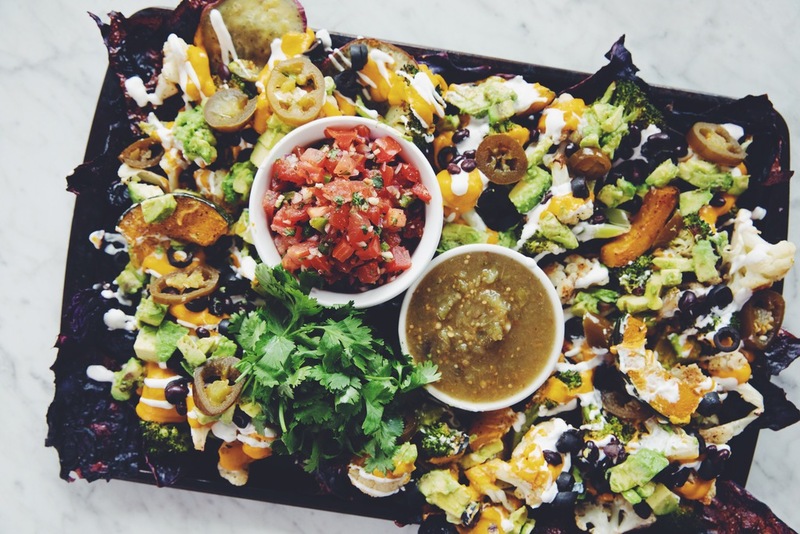 In fact, these roasted veggie sheet pan nachos are likely one of the healthiest things on this blog, and it’s still N-A-C-H-O-S down to the core! Don’t worry, you haven’t entered a bizzaro hot for food world where I eliminate tortilla chips from the menu for good, but in this case I’m roasting my favorite veggies and topping them with yummy nacho fixins’ including the famous nacho cheese… yes please! This marks the first episode of easy vegan sheet pan meal ideas that are coming your way on the YouTube channel. Check out how to make them below or scroll on down for the full recipe. easy weeknight meals got even hotter with this sheet pan nacho tray, that's nutritious and delicious, and 100% ALL veggies! Spray the baking sheet with vegetable cooking spray. Arrange kabocha squash, sweet potato, broccoli and cauliflower in groups on a large baking sheet so it’s easier to remove the vegetables that cook quicker. You’re going to roast the purple cabbage separately after these vegetables are done (see note). Spray the tops of the vegetables with cooking spray and sprinkle with salt and pepper. If using vegetable oil, drizzle 2 tablespoons of oil on the vegetables and sprinkle with salt and pepper. Use your hands to get the vegetables coated evenly. Bake for 13 to 15 minutes and then flip to roast the other side, another 6 to 8 minutes. In the meantime, prepare the pico de gallo. To make the pico de gallo, pulse chop the ingredients in a food processor until fine and minced, or chop all the ingredients by hand and combine in a bowl and set aside. Remove any vegetables that are baked through and golden brown especially the sweet potato. You may need to roast the kabocha squash, broccoli and cauliflower for 2 to 3 more minutes. Place the cooked vegetables aside on a cooling rack and use the same baking sheet to roast the purple cabbage. Place the purple cabbage leaves on the same baking sheet in one layer. Spray with cooking spray, or drizzle remaining 2 tablespoons of oil and sprinkle with salt and pepper. Roast for 18 to 20 minutes, flipping halfway. In the meantime, make the nacho cheese or you can have it already prepared in advance. 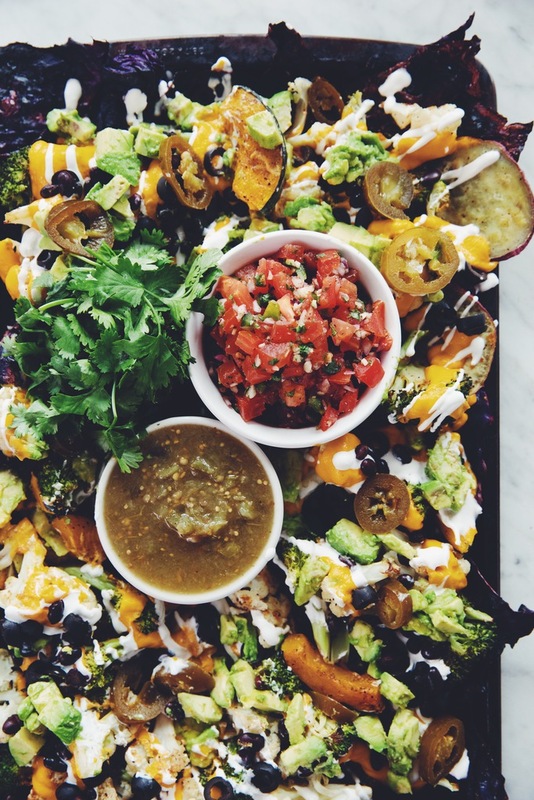 Serve your veggie nachos on the sheet pan. Top with nacho cheese and hot for food cashew sour cream or a pre-made product of your choice. Add olives, black beans, avocado, pickled jalapeños and cilantro. Serve with the pico de gallo and salsa verde, if desired. If you have a large enough oven and an additional baking sheet, you can roast the cabbage at the same time as the sweet potato, squash, broccoli and cauliflower. If you're roasting both sheets using the middle and lower oven racks, make sure to rotate them during cooking, as the heat on the lower rack is hotter. Yay!! I made a huge batch of your awesome nacho cheese last night for our loaded nacho dinner! Tonight I can’t wait to roast up all the veggies and make this! So easy and delicious! 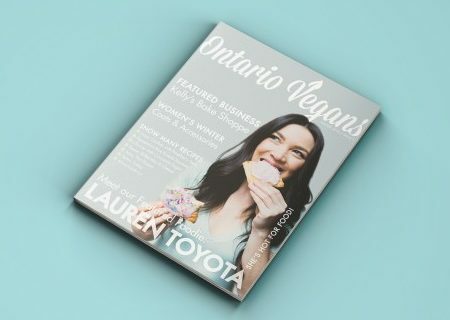 Thank you Lauren, love your book and love your channel! This is my dream come true. I’ve done similar things with sweet potato coins but never a whole dark tray of roasted veggies. 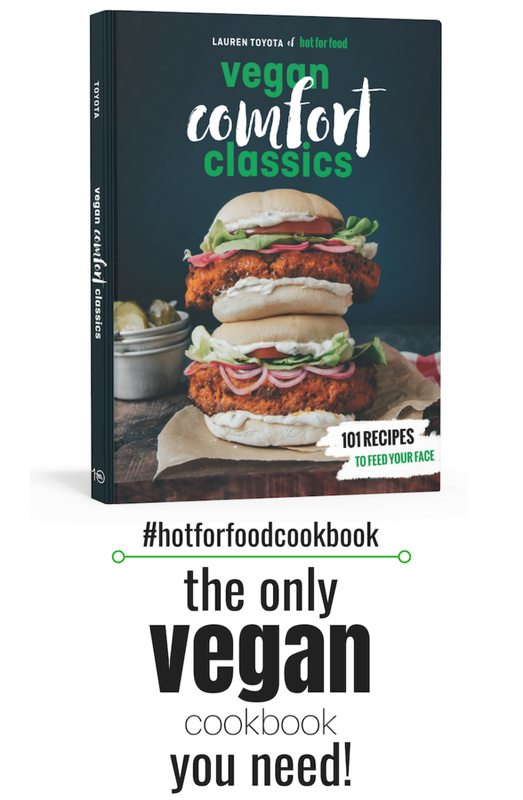 I so appreciate this vegan blog! Amazing. Life changing delicious. Thank you for the great idea! I made these last night and they were insanely good. That cheese sauce is no joke! It tastes exactly like the nostalgic nacho cheese of my childhood. Thanks for the great recipe. I loved this recipe, but be warned that it leads to a lot of excess, unused veggies. For example: 8 slices of sweet potato was around 1/3 of a sweet potato, 8 slices of kabocha squash was around 1/4 of a squash. Now I’m left with unused veggies that I don’t want to waste, and I’m stuck trying to find uses for them.